The Care Quality Commission (CQC) is the independent regulator of all health and social care services in England. The CQC registers, monitors and inspects services to make sure they provide safe, effective, compassionate, high quality care, and encourages services to improve. 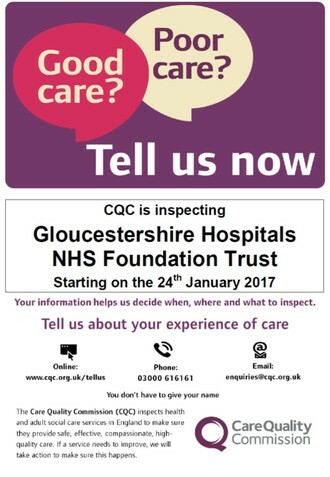 The CQC is interested in hearing any feedback about the Trust from members of the public and organisations about experiences of care. You can contact the CQC online at www.cqc.org.uk/tellus, by telephone on 03000 616161, or by email to enquiries@cqc.org.uk. 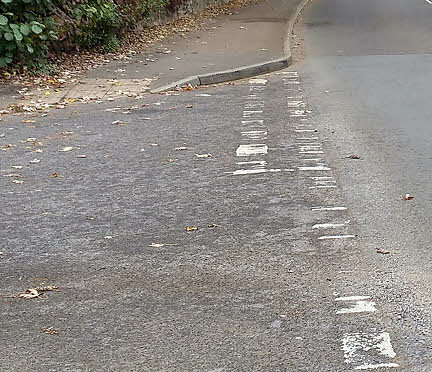 Church Road with the A417 are to be repainted. and Old Road will also be renewed. A site meeting took place between Rodri Grey (Gloucestershire County Council), Chris Hawkins (Amey), County Cllr Phil Awford and Parish Council Chairman, Andrew Cooley to road safety issues at the junction of Church Road and the A417 and Church Road and Old Road. Jeremy Chamberlayne also attended. As a result, work is being put in hand to repaint the white lines at both junctions and to repair a signpost. There will probably be additional work to improve the drainage near the lowest points of both Old Road and Church Road. A major concern at the junction with the A417 is that the current white lines do not extend far enough from the main road, so that vehicles attempting to come out of Church Road are forced on to the wrong side of the road and regularly meet vehicles turning off the A417 head on. GCC are considering how this can be improved and will be looking at the possibility of 'no parking' double yellow lines round both sides of Church Road on the corner and also on the main road immediately opposite the junction. The Highway Code rule 243 says "DO NOT stop or park opposite or within 10 metres (32 feet) of a junction. Thanks to everyone involved in the excellent production of Dad's Army by Maisemore Arts & Drama Society and Hartputy Drama Group. The two performances in Maisemore and two in Hartpury were seen by near-capacity audiences and thoroughly enjoyed. Congratulations to everyone involved in putting on the show - on stage, back stage, front of house and set building. The Department of Business, Energy and Industrial Strategy is consulting on the future of the Post Office network and the services that are provided. Discussions regarding future funding for the Post Office network will shortly be taking place. The Government has launched this consultation to help inform these discussions. The consultation document can be found by clicking this link. You can respond online by using this link. There are five consultation questions and the deadline for responding is 21st December 2016. Maisemore's Queen Elizabeth Avenue should be a picture of purple in the spring. 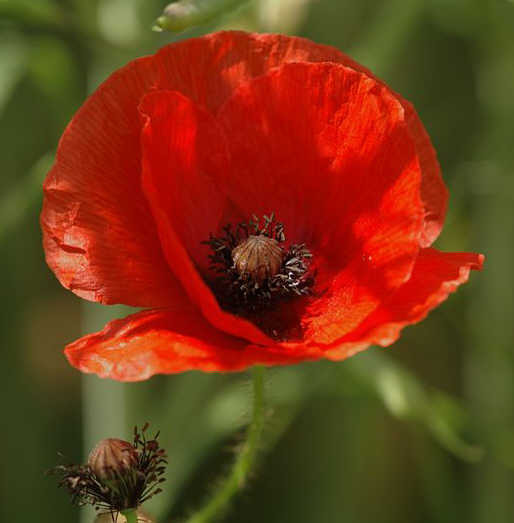 On Monday, 21st November at 1.30pm, Newent Rotary Club - with a few Maisemore children from Hartpury school - will be planting crocuses in the Avenue as part of a project to spread the awareness of "Purple for Polio" - the Rotary International support for the eradication of Polio. The Rotary Crocus is one of the leading international fundraisers for the End Polio Now Campaign. Since 2012 Rotary Crocuses have raised around £1,000,000 and been distributed in 15 countries. For every £1 raised a further £2 is donated by the Bill and Melinda Gates Foundation. If you walk a dog, why not join 'Paws on Patrol'? Tewkesbury Community Safety Partnership recognises dog walkers spend a lot of time out and about in their community, and are likely to notice when something out of the ordinary is happening. Dog walkers who join Paws on Patrol are encouraged to record observations of suspicious activity and report it. Paws on Patrol is not just about reducing crime, it’s about tackling ‘quality of life’ issues such as dog fouling, fly-tipping, inconsiderate or dangerous parking and traffic offences. Paws on Patrol links into other parts of the safety partnership including Neighbourhood Watch and the Local Policing Teams. Members who provide an email address, will be notified of Partnership news and alerts from the Police or the Borough Council. Maisemore (and Over) are being left behind when it comes to getting a fibre connection for broadband. This was highlighted at the last Maisemore Parish Council meeting. Planning is now well under way for the next phase of fibre roll-out, so we all need to speak up about it now. Visit www.broadband-feedback.com and complete the survey before the end of November. This survey is being used for planning phase. 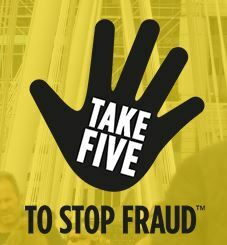 If you haven't done so already, register your interest at www.fastershire.com. This site also provides updates on developments. Register your interest at www.gigaclear.com. Gigaclear are key providers for the phase 2 roll-out. Email your MP, Mark Harper, and ask him why the government is letting Maisemore be left behind in the provision of fast broadband. There are a number of sites where you can test your current broadband speed, such as U-switch or Broadband Speed Test. This Armistice Day, remember the men of Maisemore who gave their lives in two World Wars. Have you got your tickets for Dad's Army? If you haven't yet got your tickets for the joint Maisemore Arts & Drama Society and Hartpury Drama Group production of Dad's Army, you can use the application form here. Details of how to apply for tickets are on the form and all tickets are £10. As I walked down the main road this evening, I found the pavement obstructed by no less than 5 cars parked either entirely or partly on the pavement. that pedestrians were forced into the road. That's not what Maisemore pavements are for. The Highway Code rule 244 says “You should not park partially or wholly on the pavement unless signs permit it - which they certainly don't in Maisemore. 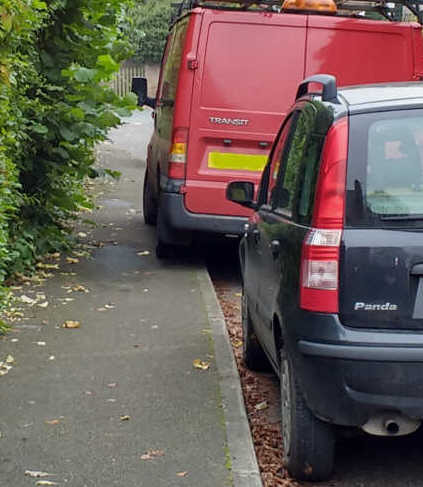 Parking on the pavement can obstruct and seriously inconvenience pedestrians, people in wheelchairs or with visual impairments and people with prams or pushchairs”. Maisemore Parish Council is seeking the aid of the police to stop this inconsiderate and dangerous practice. The number plates of the offending vehicles were photographed so that they could be passed on. Gloucester Rural Community Council has issued this page of current consultations. Link to respond to each consultation are given. Some of these have already been mentioned on this site. The Conservation Volunteers are again running their 'I Dig Trees' initiative for 2016/17. The intiative, in conjunction with OVO Energy, proved successful last year and resulted in 158,00 new trees being planted. This year's target is a quarter of a million new trees planted. There's more information here. ... give it to someone who can use it. Every day, used but serviceable things are dumped as waste at Hempsted and other amenity sites or just put in the green bin. But there may be someone out there who could use what you're discarding - perhaps re-use it, repair it or use for spare parts. If you post something on any of these sites, it will cost you nothing. You'll get emailed if anyone is interested. The you just decide who's going to have it and they come and collect it at a time to suit you. Apart from registering on the site, the only time you need to give your address is when you're telling someone where to come to pick up the stuff. So you can keep those trips to Hemsted to a minimum, help reduce landfill and pass on something you don't want to someone who does - all at no cost to you. Try getting a wheelchair or pushchair through here! It can't be done. The overgrown hedge is already restricting the pavement width and a vehicle parked on the pavement is reducing it even more. You couldn't walk through without touching either the hedge or the van or both. The hedge is the responsibility of the property owner and the van is illegally parked and causing an obstruction. If such hedges are not trimmed back, Maisemore Parish Council will shortly be asking Tewkesbury Borough Council to use their enforcement powers to cut them and bill the residents for the cost of their contractor. 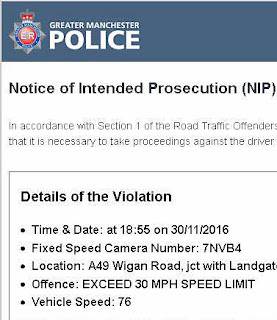 MPC will also be working with the police to stop vehicles parking on pavements. It will help everyone if vehicles parked on the road are kept in the road and off the pavement, particularly on the main road. If they're on the pavement, through traffic doesn't slow down. If they're parked on the road, traffic slows down or stops. That could save someone's life! 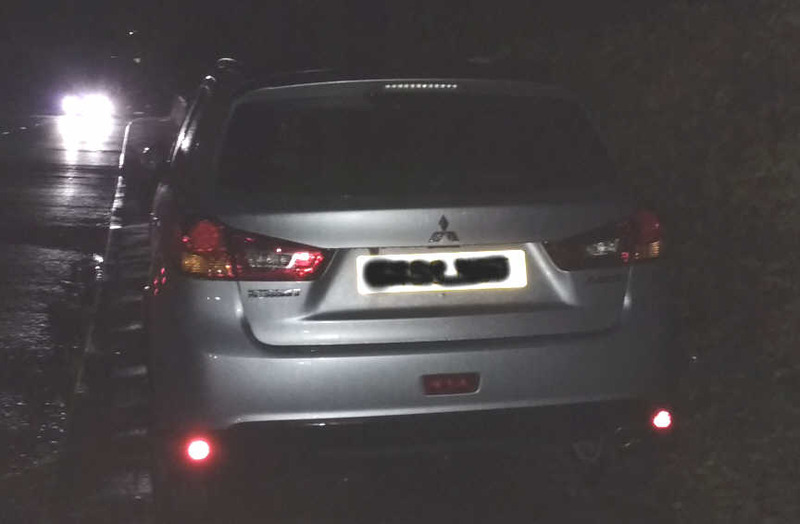 If you park a vehicle in the road at night, though, make sure it's facing in the right direction and your rear reflectors are clean! Pavements are for people - not parking, plants or poop. School admission policies, which are published annually, include information about how places are allocated, how waiting lists for schools work and people’s right to appeal decisions. By law any school or organisation that manages their own school admissions, such as the council, has to consult on their policy every seven years. Gloucestershire County Council manage the admissions for 146 schools in Gloucestershire. The council’s policy hasn’t changed significantly. There are 139 schools in the county who do their own admissions and don’t follow the council’s policy. These schools are mainly academies and foundation schools. Of these, 54 are consulting on their own policies. The council is including a list of these schools and links to their consultations from its own consultation website to make it easier for people to make their comments to the right school or organisation. GCC values your feedback and encourages you to participate in this consultation and mention it to others to whom it may be relevant. Tewkesbury Borough Council have been experiencing problems getting planning documents on to their website, so those relating to the Rectory Farm applications (16/01163/AGR & 16/01164/AGR) are here. "Gloucestershire County Council are currently consulting on a draft Minerals Local Plan for Gloucestershire (www.gloucestershire.gov.uk/extra/EmergingMLP). By “unconventional techniques” what they mean is fracking. Stroud Town Council will be strongly opposing the draft Minerals Plan and has also adopted a policy on fracking. If your council feels strongly about the idea of fracking in Gloucestershire we would encourage you to respond to the consultation and write to your local county councillor. The closing date for comments is 5pm on 24th November 2016." 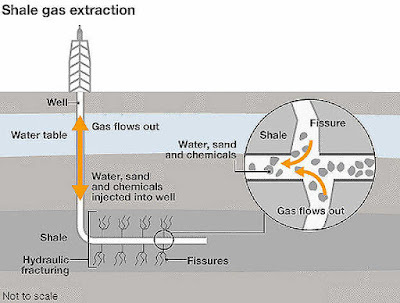 The full text of the letter and Stroud Town Council's policy on Fracking are here. 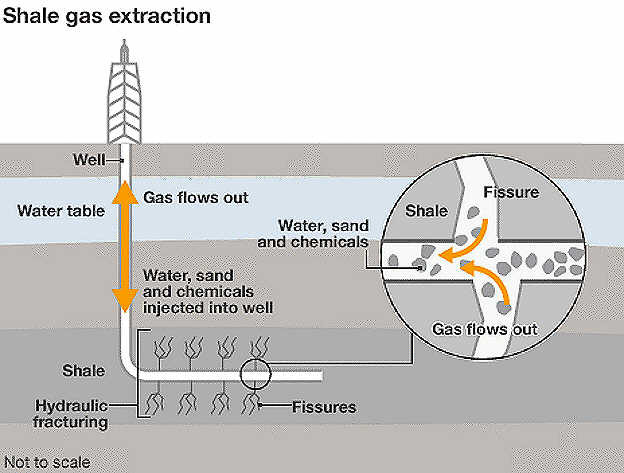 What is fracking and why is it controversial? Here's a brief explanation on the BBC website. 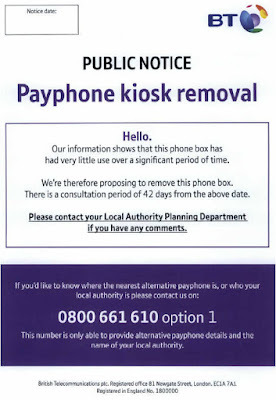 BT intend to remove the payphone kiosk by the bus shelter opposite the entrance to Persh Lane. 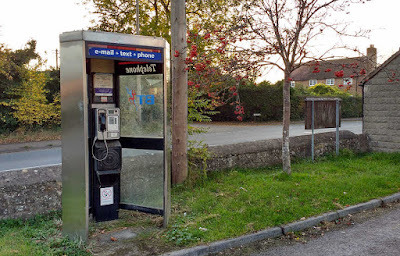 It is one of 40 payphone boxes in the Tewkesbury, Cheltenham and Gloucester area that BT intends to remove. According to their records, only 20 calls were made from this box in the last 12 months. There is now a period of public consultation, which ends on 14th January. BT say that around 98% of the population has the use of a mobile phone with 3G or 4G coverage, from which emergency calls can be made even if the phone has no credit. 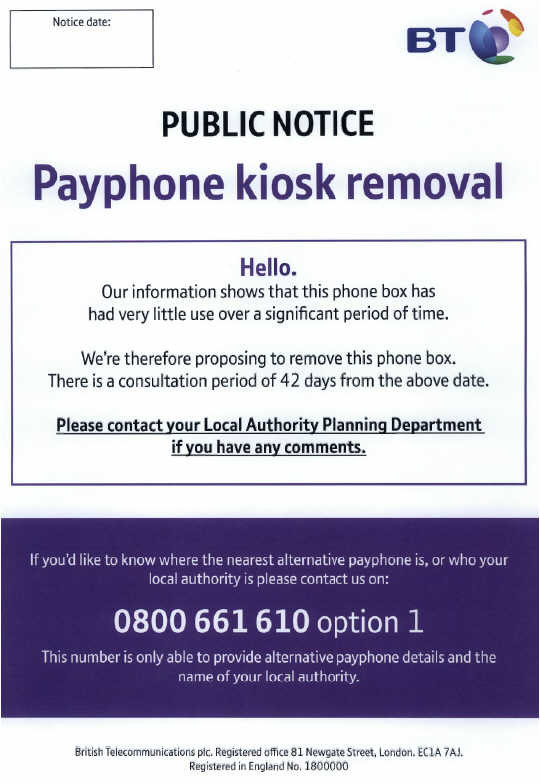 If you want to object to this removal, you should email btp.authorisation.team@bt.com or write to BT payphones, pp 4th Floor Monument TE, 11-13 Great Tower Street, London EC3R 5AQ. You will need to keep proof that the email was sent (or apply a read receipt) or obtain proof of posting a letter from a post office. 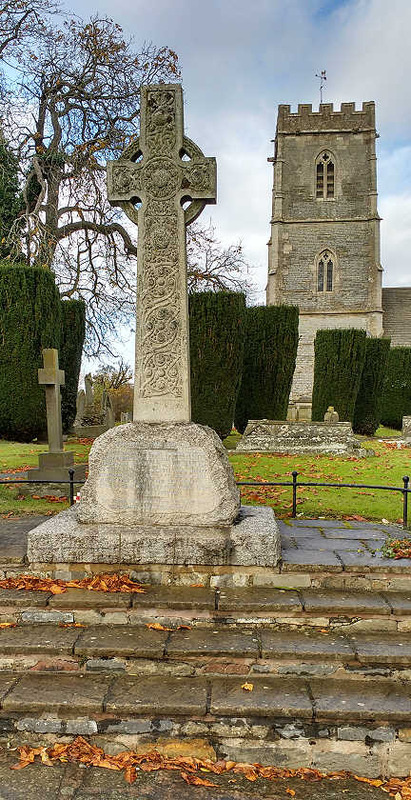 Historic England is asking for local history groups and individuals to share their knowledge and pictures of listed sites, so that they can record important facts about them, and even unlock the secrets of some. The National Heritage List for England has almost 400,000 entries, from palaces, piers and pigsties to cathedrals, windmills and rollercoasters. These are the most significant of England's buildings and places, ensuring that they can be protected for the future. The List is a unique record of the country's evolving history and character, and is available to search for free online here. If you have stories to tell and pictures to share about a listed place, Historic England would love you to take part in their project. Enrich the List is intended to keep the List rich, relevant, and up to date. Since launching in June over 15,000 contributions have been received. You can share photos, whether old or new, add details of historical events or social history, record later changes since a building was listed, and add information about the architecture or archaeology. To find out more and to sign up as a contributor, click here to visit the Enrich the List page on the Historic England website. A new one stop shop for reporting road safety concerns in Gloucestershire has been launched this week. The Road Safety Community Hub was launched on Friday 28th October by Gloucestershire Road Safety Partnership - made up of Gloucestershire County Council, Gloucestershire Constabulary, the Police and Crime Commissioner’s Office and Gloucestershire Fire & Rescue Service. The new hub will be the main point of contact for residents to report any concerns they have about road safety in their local area. Reports can be made via the Road Safety Partnership’s website. This one central hub will bring together the expertise of the police, engineers and the road safety experts to provide a better, more efficient way of resolving the problems encountered in our towns and villages. It will bring a more consistent approach and, once people know where to go with their concerns, their ideas or for advice, it should make decision making more accountable. Please do not hesitate to contact the hub with your concerns. Gloucestershire Clinical Commissioning Group (GCCG) is looking to improve the experience of patients with Chronic Obstructive Pulmonary Disease (COPD). GCCG wants to understand what currently helps you to stay well and what would make a difference to you in the future. Please contact Lucy Bird if you would like to attend either workshop, and also let her know if you require help with transport. Email lucy.bird1@nhs.net or tel: 0300 421 1554. A small section of Old Road will be closed from 29th November to 1st December. Gloucestershire County Council has issued the closure notice so that Severn Trent Water can renew a hydrant. The section affected will be from the junction with Hiams Lane to outside Greenacres - a length of about 50 metres. Pedestrian and emergency access should be maintained at all times other than in exceptional circumstances. Maisemore Parish Council has received some funding to improve communication in the village and make what the Council does more transparent to residents. So, if you have any views on this, please come along to a meeting in the village hall at 7.30pm on Monday 17th October to talk about what should be done. All views will be welcome! This meeting is intended to throw up ideas. A decision on what to do will be made at the Parish Council meeting on 7th November. You could be involved in that too, as we have two vacancies to be filled by co-option - so why not talk to one of the existing councillors about that as well: Andrew Cooley (07961 574231 or andrew.cooley@maisemore-pc.org.uk), Debbie Burgess (01452 523730) or Carole Banks (01452 304598). We’ve already made a start with this new trial website (www.maisemore-pc.org .uk). Please do have a good look at it and tell us what you think - and what you would like to see. 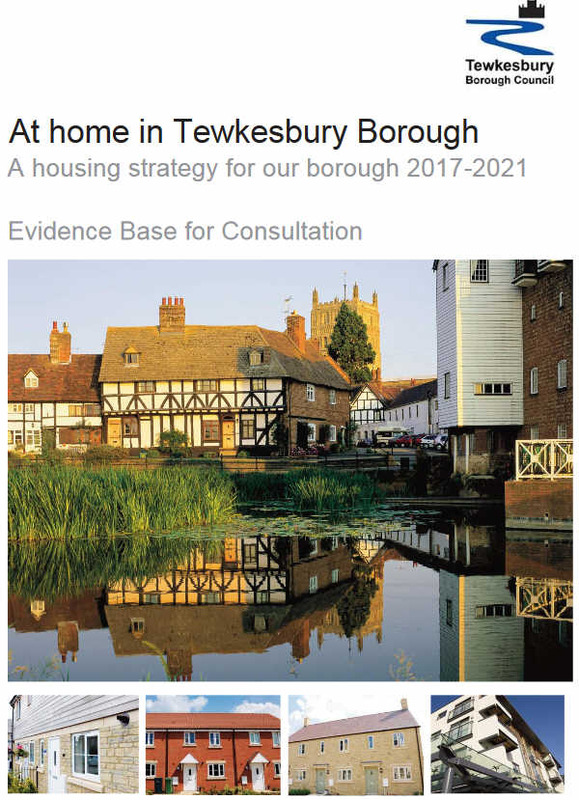 Tewkesbury Borough Council is holding a public consultation on its Housing Strategy on Wednesday 12th October at the Tewkesbury Borough Council Offices, Tewkesbury Public Services Centre, Gloucester Road, Tewkesbury, GL20 5TT. It's a drop in session between 4pm and 6pm. An invitation to the event is here. The consultation document is here. The next meeting of Maisemore Parish Council is on Monday 26th September 2016 at 7.30pm in MaisemoreVillage Hall. The meeting will begin with public questions and discussion lasting up to half an hour. There are currently two vacancies on the Council that can be filled by co-option, so if you're interested in helping get things done for Maisemore, please contact one of the existing councillors (details in the right hand column of this page) or the parish clerk - phone: 07971 874239 or email: maisemoreparishcouncil@gmail.com. 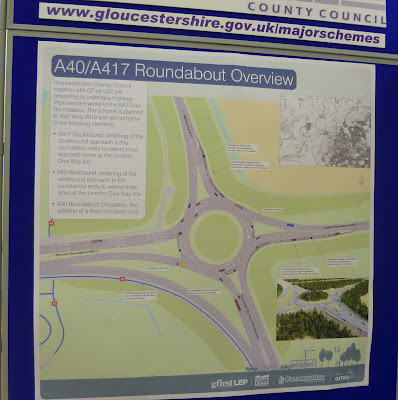 Gloucestershire County Council's plans for improving the Over roundabout should be helpful to Maisemore residents. A key feature of the proposal is to add a third lane on the southbound approach to the roundabout along the A417 from Maisemore. Hartpury village hall. The event was well attended. The thinking is that this will enable two lanes of traffic heading towards Gloucester, and that this will enable more vehicles to enter the roundabout every time there is a gap in the traffic approaching from the west. There are more details about the scheme on the GCC website here. A number of plans and drawings and answers to a number of frequently asked questions can be downloaded from this GCC page. The present scheme does not include traffic lights, but it does include laying the ducting so that these could be added at a later date with the minimum of disruption. Adding the extra lane will invlove deep steel piling of the embankment to the north east of the roundabout. There will have to be some road closures to achieve this, but it is hoped that these will mostly be at night. A scheme for traffic diversion and signposting has been prepared. How people-friendly is your garden hedge? Residents should be aware that Tewkesbury Borough Council can take enforcement action to cut back hedges that grow over and obstruct pavements. They can then re-charge residents for any work undertaken. Please can you check that your garden hedge is not growing over the pavement. Brambles hanging down from high hedges can be a particular hazard. Pavements need to be clear for a width of at least 1 metre (or the full width of the pavement if it's less than 1m) and to a height of 2 metres. Residents using a wheelchair or pushchair may be forced into the road if the hedge is overgrown. We are currently in the process of finalising funding arrangements for a major improvement scheme at Over Roundabout to follow on from the work undertaken by Highways England in 2015. A417 North: widening of the southbound approach to the roundabout entry to provide three lanes at the junction stop line. A40 East: widening of the westbound approach to the roundabout entry to provide three lanes at the junction stop line. 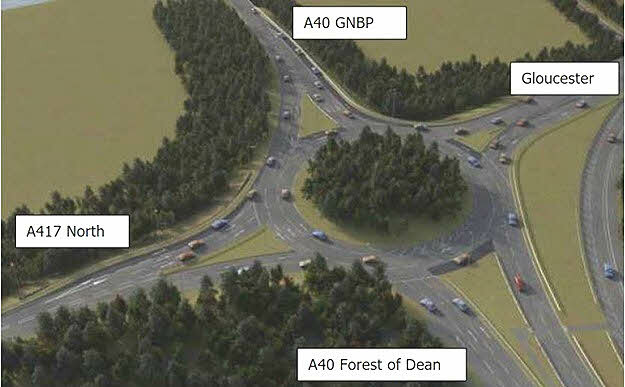 A40 Roundabout - General: The addition of a third circulatory lane within the roundabout. The overarching goal is to provide a free flowing link for traffic along the currently heavily congested A40 Roundabout. Reduce journey times, for all users as well, on the A40 between Highnam Roundabout / Longford Roundabout / Gloucester City Centre. Improve journey time reliability on the A40 between Highnam Roundabout / Longford Roundabout / Gloucester City Centre. Improve the connectivity and capacity of the strategic road network between the Forest of Dean and Gloucester / Cheltenham / Tewkesbury / the M5. Maisemore Parish Council has been strongly critical of the work carried out by Highways England in 2015 and regards the changes as detrimental to the interests of Maisemore residents and also introducing new risks to road users - particularly when entering the roundabout from Maisemore on the A417. At least one Parish Councillor will attend the 'share event' at Hartpury on 20th September. Watch out - there's a thief about! Of course, it's not from British Gas at all - and I'm not a BG customer. 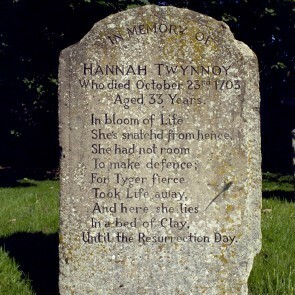 But the layout is very convincing, apart from not having my name and address. 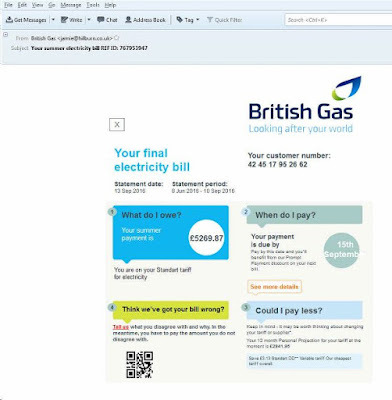 When I spoke to British Gas so that I could forward it to them, they said that even the account number format was correct, apart from starting with the wrong digits. These emails come in all sorts of forms and they may look very convincing. It's very easy to pick up logos and trademarks from company websites. The rule is never to give bank details or passwords to anyone in response to an email and never click on anything in it if the email is even remotely suspect. None of the banks, the police or any reputable organisation will ever ask for your bank account or password details via email - or over the phone. The day started clear and bright for this year’s Maisemore Fête as the stallholders arrived to set up. Would it continue? Yes! Under glorious blue skies, the Fête was opened by Eric Freeman who described to guests some of his highlights of Maisemore and reminded us to cherish our village. The stalls inside and out were a buzz of activity as the sun continued to shine down on the Fête. To the delight of Fête visitors, Gloucestershire Fire & Rescue Service arrived in a large fire engine and many of the children present were able to meet the firemen and sit in the driver's seat. This year saw the Maisemore Football Club run an activity for the first time and test the sporting skills of villagers and visitors, perhaps they even found their next star striker! Regular stalls returned and visitors were able to browse and buy books, bric-a-brac and cakes in the hall, or wander outside to try their luck on the coconut shy, tombola or hooking a duck. The produce stall was full of shining apples, juicy raspberries and fresh green beans, almost out-sparkling the jewellery. The children’s races were as competitive as ever with the three categories showing we had some budding athletes present. Perhaps we will be seeing some Maisemore names at the 2024 Olympics! The day concluded with the Grand Raffle draw and the announcement of the competition winners. With over 50 prizes donated this year, it is clear to see the generosity within the village. Our cake competition was won by Denise Sheldon, who created an MnM chocolate cake as her showstopper. The photo competition winners were Harvey Williams in the 16 and under category and Pascal Chamberlayne in the over 16s. Many thanks to all those who helped and attended the Fête. See you next year! 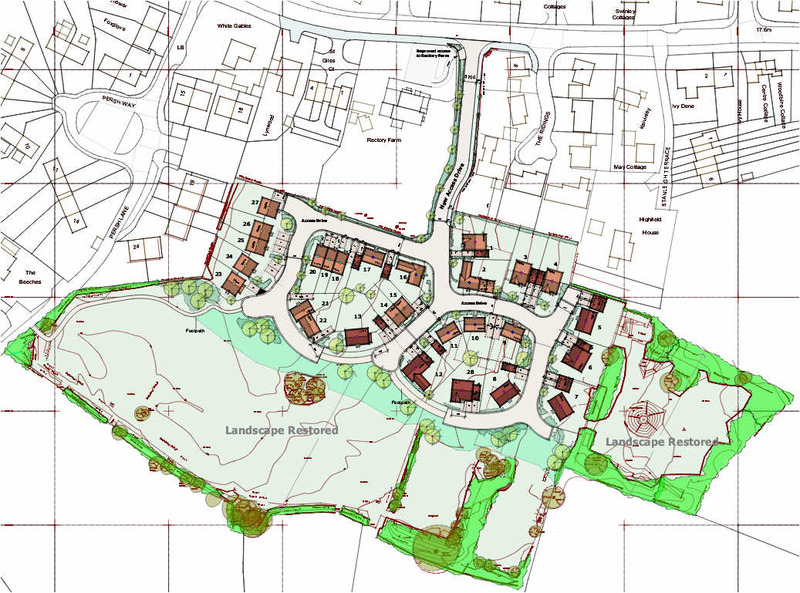 The outline planning application for a mix of 28 open market and affordable dwellings and associated infrastructure on land to the rear of Rectory Farm has now been approved (application reference 15/00131/OUT). The full decision notice, including the conditions attached to it, can be found here. The full site plan of the proposal can be found here. The site is now at the stage for a full application to be made. The decision involved a 'section106 agreement' and, although this does not include MPC’s request for funding for sewerage improvements, it will provide funds for Village Hall improvements and other community benefits. Tewkesbury Borough Cllr Davis was asked to investigate how the list of section 106 requirements was reached, as MPC had not been consulted. 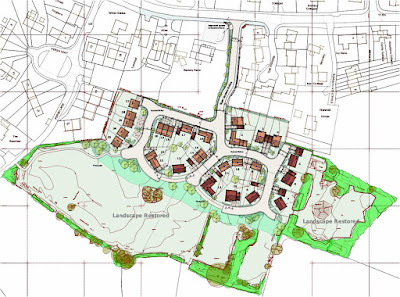 The Parish Council unanimously agreed that it’s Planning Policy Document be amended in the light of the decision and that a copy be sent to Tewkesbury Planning Department.